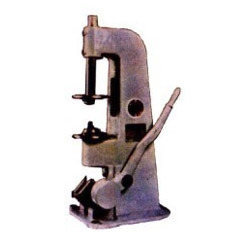 We are instrumental in providing our clients with a perfect quality Hand Die Flanger. Keeping the diverse requirements of customers in mind, we are instrumental in offering superb quality Can Hand Flanger Machine. Pneumatic/mechanical, single tool/multi tools, automatic/semi-automatic flanging m/c for flange the can body. With vast experience and knowledge we are involved in offering a premium quality Hand Flanger. With the support of our team of experts, we are engaged in providing wide range of Hand Flanger. FUNCTION:For flanging cans from 220 to 680 Dia and 220 to 10 height. Ratnakala Manual 2 in 1 can polish Girdle as well as Pavilion. This model has no computer system and has CCTV for visualization and angle setting. - Maximum production and very low breaking. We are counted among the leading organizations, engaged in supplying premium grade Hand Flangers. Our organization offers an exclusive range of machines for food processing and canning industries such as Hand Flanger. A hand flanger is used for flanging the edges of the cylindrical cans. We design a wide range of Flangers to flange the edges of cylindrical bodies simultaneously in single operation. 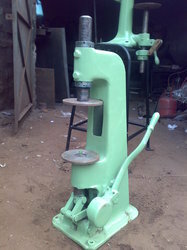 Hand Operated Machine for Simultaneous Flanging Of Both Sides Of A Round Can. A Toggle Motion balanced hand enables the machine to be operated with minimum exertion.